If you looking for something a little on the disturbing side for your Halloween festivities, take a peek at High Noon Creations for unique and sinister ideas. It's not easy to find things like these anywhere! This takes the cat costume to a whole new level. 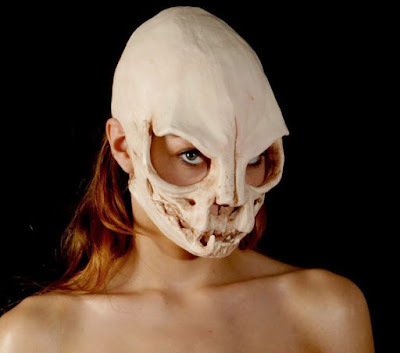 This cat skull mask would make anyone look spooky! By putting this on, you will look like you're leering at everyone. Or you're out on the prowl! The ram skull mask is a classic. 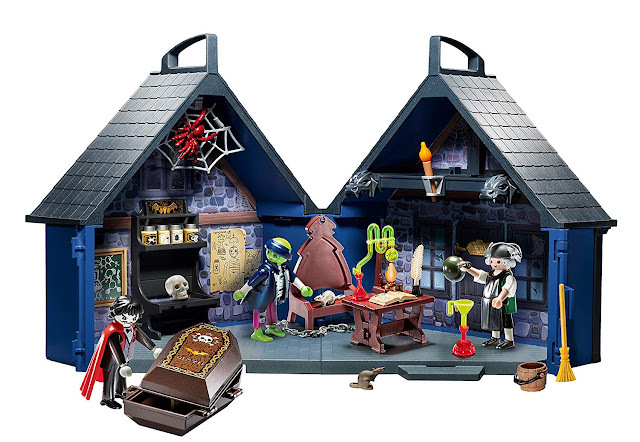 If you are going to an undead Wild West party, this would be perfect. That would be a unique party theme! I can see this being used for a Stephen King book turning into a film. 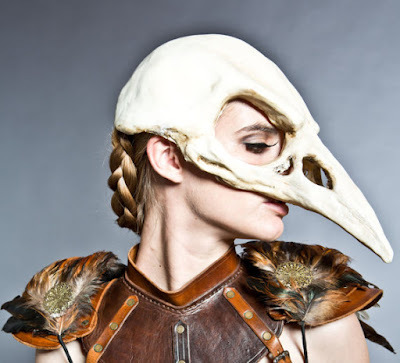 This bird skeleton mask is extra creepy. Imagine casting bird-like shadows on the walls. 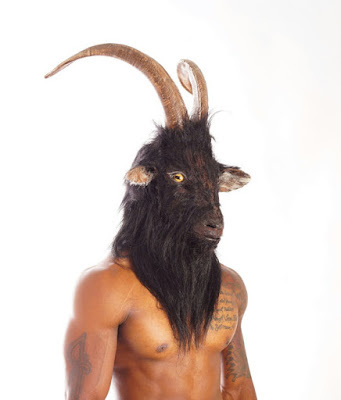 This furry black goat mask totally freaks me out. There's something a person's face being completely covered that is just terrifying. I think these vertibraecelets are really awesome. 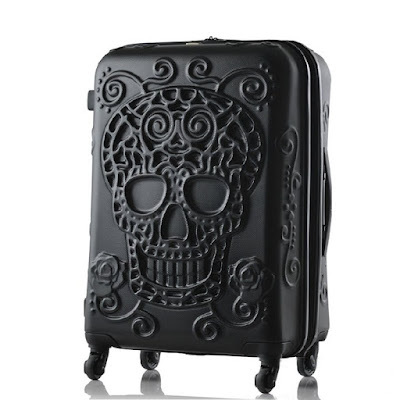 I would wear these to a scary night club or to a macabre event. I wish they were made from real bone, rather than rubber. This is another ominous animal mask. 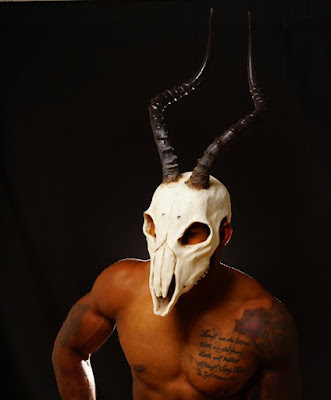 The Impala skull mask has some really scary horns. Is it just me, or is it hard to see the person's pupils while they're wearing this mask? 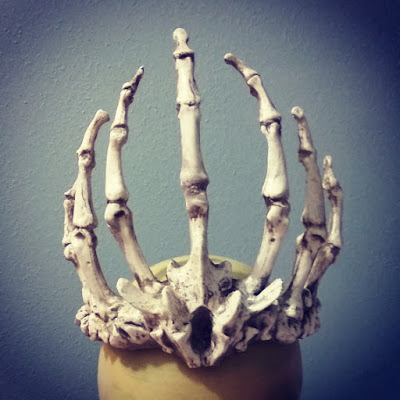 If you want to be the king and queen of the dead, this bone crown is a must have. It actually reminds me of a face-hugger from Alien! Super hair-raising! Don't you think these are really freaky? 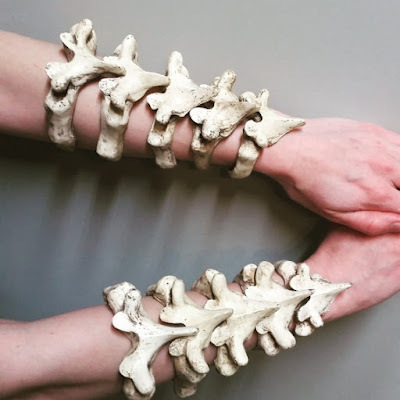 The quality is so great that I actually thought these were made from real bones. Check out other items from High Noon Creations. How would you use these for your future costume? Tell me about it!